BREATH FLOW THRIVE : Just trust. I fully trust that my body knows exactly what to do. I'm still breastfeeding my now one year old, and I trust that my body is providing what my children need both inside and outside of my body. 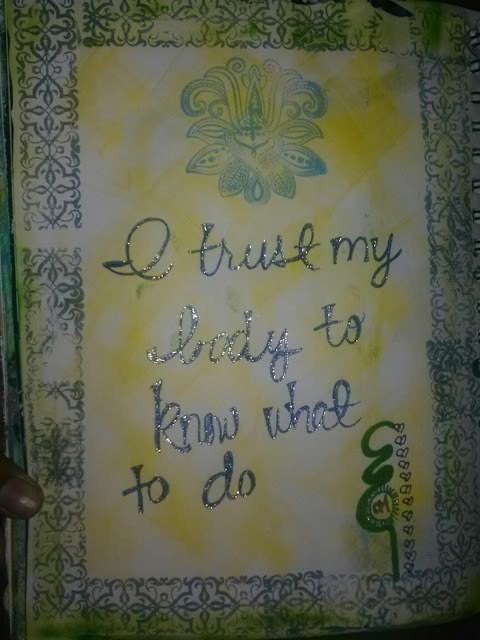 I trust that my body is capable of instinctually knowing what to do, how to do, and when to do. I mean, I've never questioned how my bladder knows how to filter my urine, or how my heart knows how to pump a certain amount of blood, so why would I start now? Trust your body, listen to your body, give it what it needs and it will do what must be done for your child. Meditation: Close your eyes. Take a deep breath, and say, I trust my body. I listen to my body. I respect my body. I trust my child. I trust my body to expand and allow my child to grow in a safe manner which he/she needs. Open your eyes.